Pinecones are fascinating! 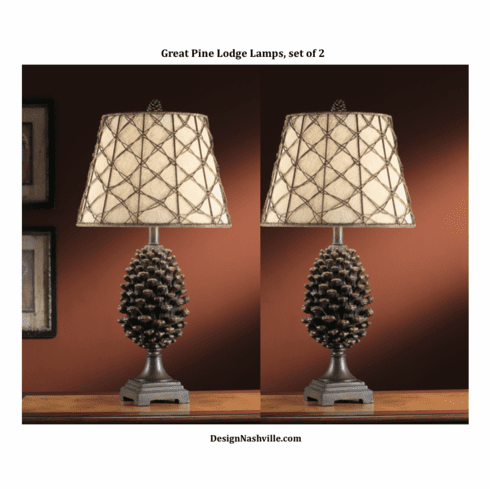 This novelty lamp begins with a classical, well balanced lamp structure and features a grand sized pinecone made of resin. The shade is oatmeal linen with woven rattan lattice. A pinecone finial tops off the lamp for a finished look. Great Pine Lodge Lamp is 30" high. This piece is usually in stock, shipping in about a week.